I have always dreamed of one day becoming a children’s book author and illustrator. While working as the Director for a non-profit organization I continued to dabble in writing stories, poems, and songs. It was not until I left corporate America to become a stay at home wife and mother that my dreams became a reality. 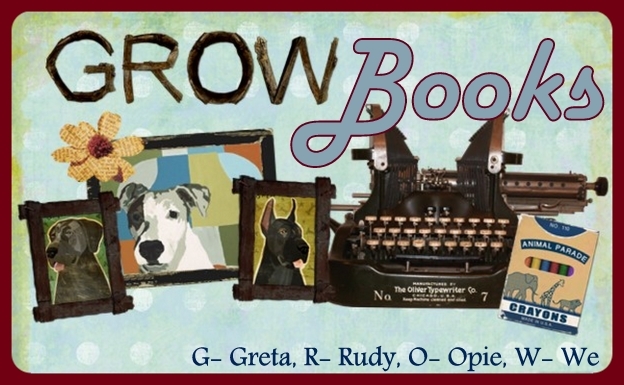 I was constantly inspired by my three dogs, Greta, Rudy, and Opie who were my first children. My writing and artwork have brought much fulfillment into my life and I hope to entertain both young and old with my stories. I live in East Texas with my husband, Jonathan, and our three children, Clara Lee and Katherine Rose, and Canon. Hi I am planning on white washing my exterior of the house and I know I need white mortar mix but I do not know what kind and where to get it. Can you help with this? I’m sorry for my late response. You may have already found the answer to your question. I have learned that there are some readers of this blog that have done the exterior of their home and they love it! I’m so thrilled! You can buy mortar mix at Lowes, Home Depot or any local hardware store. You may not find the exact brand of TXI but as long as it is brick mortar you should be fine. Good Luck! !